After seven years of releasing his second solo album, Justin Timberlake is back in the music scene with 968,000 copies sold on its first week and the bragging rights of the current number one album in America. Justin Timberlake's third album is titled "The 20/20 Experience" with hit singles "Suit & Tie" and "Mirrors." The album was released on March 19 and had better first sales week of his sophomore album of 684,000 copies sold. The 20/20 Experience follows the biggest sales week of a solo male singer like Usher's Confessions (2004) and Garth Brooks' "Double Live" (1998) with 1.10 million and 1.09 million first week sales respectively. According to reports, iTunes was the top seller of "The 20/20 Experience" followed by Target, which sold exclusive version of the album which includes two bonus songs "Dress On" and "Body Count." 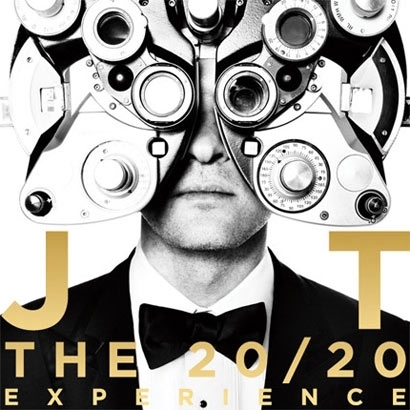 During the first week of debut, "The 20/20 Experience" was sold to the lowest advertised price of $7 at Walmart and Amazon.com for physical CDs while exclusive version of iTunes was sold at $9.99 and Amazon MP3 sold the standard digital album for $10.99. Oh! i like JT. Will try to find his latest videos on YouTube. that's a big accomplishment for him as his comeback. not a huge timberlake fan though but i have high respect for this guy's talent. My sister like Justin Timberlake but me, not much! I like him as an actor though. Wow! that is amazing and good for him. I want to listen to his newest album. makes me curious what makes it saleable . Funny but I don't know any songs of Justin Timberlake. I know him as an entertainer but his is not the kind of music that I am into. Not a fan of JT. Don't know what's the big deal with his Suit & Tie, IMHO, he's trying to sound like Bruno Mars. wow, that's really amazing! I like JT...he's a good comedian too! wow!! that is a lot.. Justin T is one of Sarah G's tough competitor in the world music award..
really! that much?? WOW! i'm a Justin Timberlake fan but not of him as a recording artist but as an actor. he's hot, hehe..
he must be extra happy, a nice career, a beautiful wife, what else can he asked for. i think he deserves it considering that he is indeed one good singer. JT has established a fan base since his Disney years and being in a boy band before. Kudos to him for his new hit album. Justin Timberlake had a huge fan base all over the world. This is not quite surprising knowing how famous he is. But with the technology we have now, it's impressive that he was still able to sell almost a million copies.